Moscow City Court has banned the Movement Against Illegal Immigration (DPNI), accusing its leaders of extremist activities. Moscow City Court last week refused to dismiss the prosecutors’ lawsuit to ban the movement and transfer it to the Supreme Court. Earlier, courts passed four sentences against members of DPNI regional organizations and its former leader Aleksandr Belov for inciting extremism. 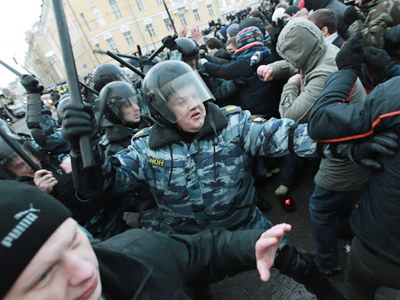 Moscow police said the organization was partly responsible for mass riots in Manezhnaya Square in December 2010 when football fans clashed with police in the center of Moscow. Belov warned that banning the movement may lead to the radicalization of nationalist groups that in this case will be beyond somebody’s control. 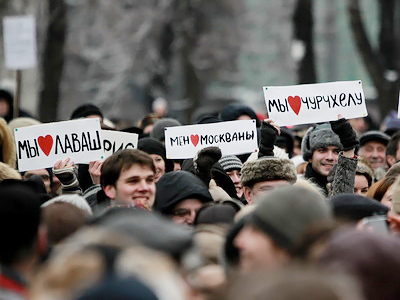 The movement was established in 2002 as a reaction to cases of ethnic violence between Moscow residents and immigrants from Central Asia and the South Caucasus. 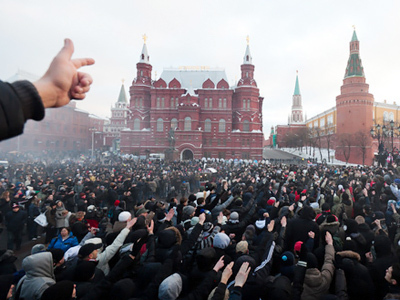 The DPNI managed to organize a number of nationalist rallies in Moscow and Russia’s regions and took part in the annual Russian March. 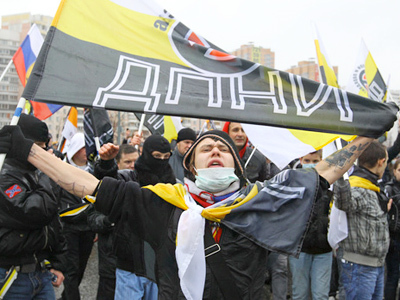 In 2006, the DPNI leadership supported anti-illegal immigration rallies in the Russian city of Kondopoga after a fight between locals and Chechens in which two ethnic Russians were killed. Later that year, the movement’s members were involved in inter-ethnic fighting with Caucasian ethnic groups that led to dozens of arrests. In January this year, the leader of the DPNI’s Moscow regional organization was put on probation for his participation in beating citizens of Tajikistan, one of whom died from his injuries. 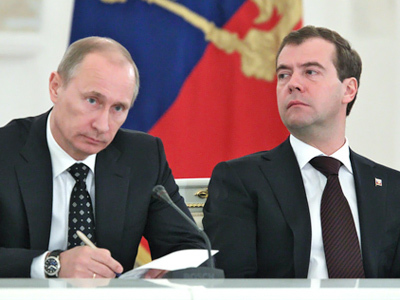 Ilya Boidakov was accused of forming an illegal group of young people that later reportedly became part of the DPNI. Investigators spoke about the group’s strong hierarchy and discipline. Boidakov, however, made a deal with the investigation and managed to avoid a more serious punishment. 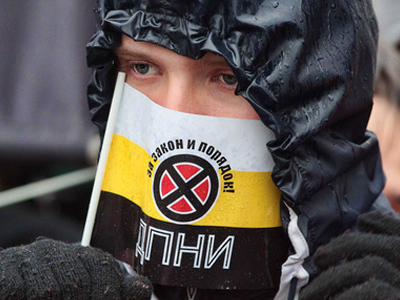 At the same time, Verkhovsky believes that the “underground component” is intensifying in the radical nationalist movements because of increasing pressure on their activists. Head of the Federal Migration Service Konstantin Romodanovsky, however, said earlier this month that it is necessary to fight illegal immigration, but there was “no signal” from the DPNI about how to solve the problem.